How do you know who will be perfect business partner? There are many keys to determining whether your next partner is going to help you build an even more successful business, or tear down what you’ve already worked so hard to create! The business community frequently relies upon strategic alliances to create better products, better distribution, and improved customer satisfaction. Unfortunately, many alliances fail. A review of those failures helps current business owners understand what to avoid. 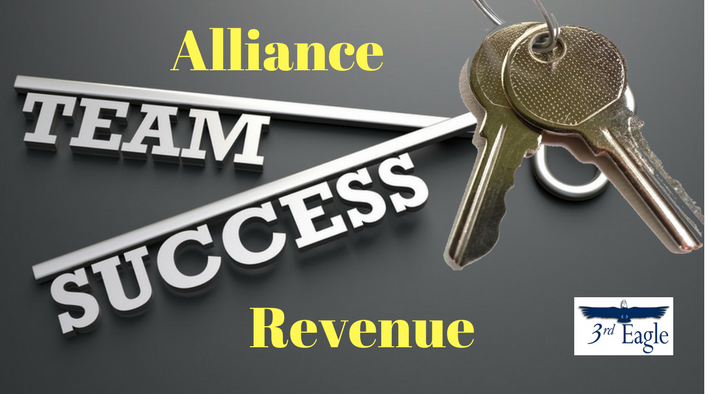 Strategic alliances can increase market share, reduce competition, improve expertise, and open the door to new funding opportunities – but not all strategic alliances are created equal. The truth is that sometimes a strategic alliance can cause more harm than good if the partner company has different goals, gets more than it gives, or otherwise fails to live up to its side of the deal. A business’ growth to a higher level is often a perilous journey. From a start-up’s first unsteady step into the business arena, through each acquisition and investment that follows, risks surround those bold enough to take on the challenges. As a business owner, you have probably spent a lot of money in marketing campaigns to grow your brand and your business. Do you have the feeling that there is just something missing that is preventing you from getting the exposure you need and the competitive advantage you deserve? Have you ever considered seeking another business to form a partnership? Launch a business from scratch with Joint Ventures (JV). Countless new business owners are launching new businesses using JV alone, proving to be the active element as to why they experienced success in their business. A partnership between two companies with similar assets is simply leveraged by a “joint venture.” When working through JV ventures, it is important to partner with them and not compete with them. For instance, you may own a vitamin website and then contact the owner of a wellness website. See if you can leverage marketing your vitamins to the customers of their wellness site. They will say either “yes” or “no.” If the answer is “yes,” then it’s worth every effort when you start to build up your back office easily and experience rapid traffic and sales. Sometimes it’s difficult not to think of those who work in sales as anything more than the slick late night used car sales people from days gone by. However, much has changed over the last 30 years, especially when it comes to sales strategies. You may have heard the phrase, “It’s not what you know but who you know.” In most cases that applies to the business world. Developing partnerships and networking to broaden your people base is one important component of being successful in your business. It is defined by whom you know. This is never more true than when building relationships. As an Entrepreneur what is the one resource you wish you more of right now? I’d be willing to bet the answer is most likely time. If you’re running low on energy there’s always more coffee, right? But, if you find you just don’t have enough time in the day to get everything done what do you do? You can’t add more hours to the clock. You scratch my back, I’ll scratch yours. When you form a strategic alliance with another company, you get the benefits of leveraging an expertise, product, service or asset that isn’t even yours. Yet, they call on the same customers you do. Collaboration in Small Business: Who Needs It? Chances are the answer to the above question is easy: we all do. 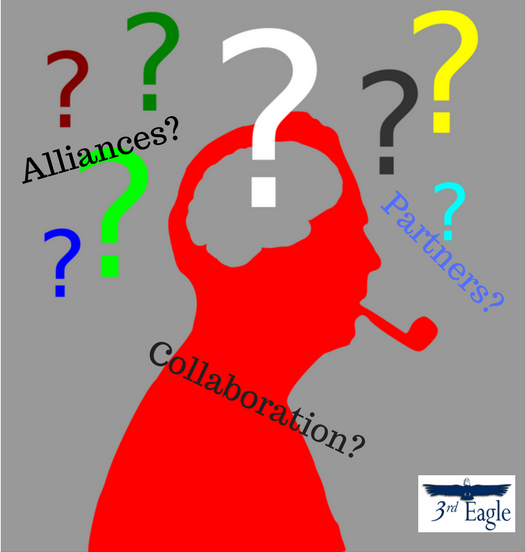 However, what exactly is the benefit of having a business collaborator? Many of us just don’t like other people getting involved in our own business. Too many people having a say in how a business is run can slow efficiency and even detract from business quality. This does not include any personal frustrations from working with people with whom we simply do not like. But small business collaboration brings advantages to the table that make it worth the trouble. That’s why it’s so important to choose your business collaborators carefully.